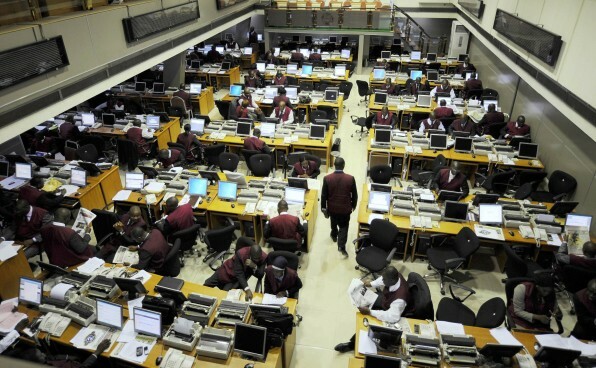 Equities trading on the floor of the Nigerian Stock Exchange (NSE), yesterday, reversed its previous loss of 0.33 per cent as the All Share Index (ASI) was up by 0.51 per cent, on the back of gains recorded by FCMB and Skye Bank , to close at 43,119 points. At the close of trading, the market capitalisation increased by ₦77 billion to close at ₦15.447 trillion from ₦15.370 trillion in the previous trading session. Market breadth index closed positive as 26 stocks advanced while 26 others declined. FCMB was the top gainer, rising by 9.84 per cent to close at ₦2.79 per share. Skye Bank followed with 8.33 per cent gain to close at 91 kobo, while Caverton, Fidelity Bank and International Breweries rose by five per cent each to close at ₦1.68, ₦3.36 and ₦63 respectively. On the flipside, Eterna Oil topped the losers’ chart with 6.82 per cent to close at ₦6.15 per share. UBN trailed with a loss of 5 per cent to close at ₦7.98, WAPCO declined by 4.99 per cent to close at ₦54.06, NAHCO depreciated by 4.90 per cent to close at ₦4.27 while Cutix fell by 4.85 per cent to close at ₦2.16 per share. Transcorp continued its run as the most actively traded stock for the second time this week with 193.90 million shares worth ₦400.079 million. Diamond Bank clung to second spot, trading 85.661 million shares worth ₦221.862 million, while FCMB sold 57.574 million shares valued at ₦157.895 million.